So off we went, to hear about this “thing with Legos and robots,” which turned out to be FIRST (“For Recognition of Science and Technology”) Lego League robotics – often called the Little League of youth robotics. I walked in presuming I was going to sign up the boys for some sort of after-school activity. I left having volunteered as a coach for the FIRST program. This began an incredible journey for me in which I’ve mentored more than 500 students over the last 14 years. The program gives kids of all ages an open opportunity to be curious – to explore. They can get involved in mechanical, electrical, programming, CAD design, leadership, and even public relations! 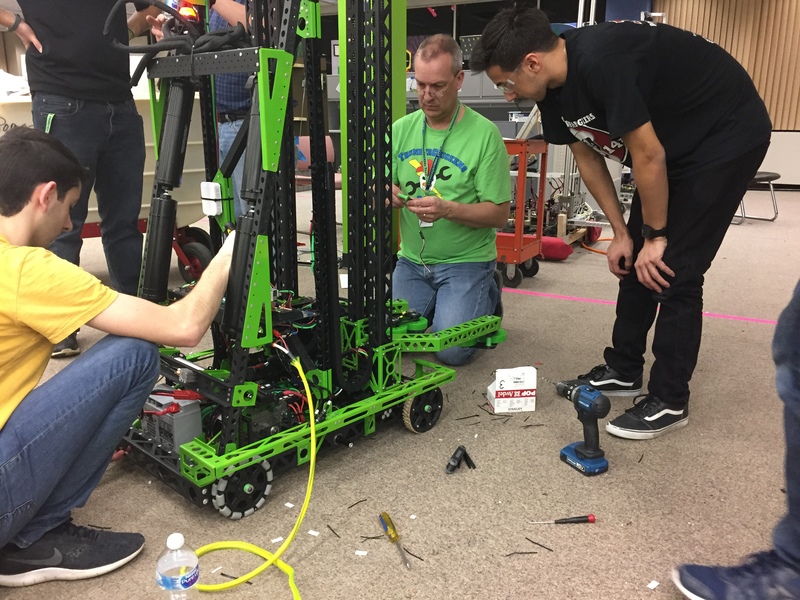 The high school FIRST Robotics team is typically 40-50 students each year and runs like a small business with departments, leadership, collaboration among disciplines, and of course, challenging deadlines. Aptiv has been a longtime supporter of the FIRST program. Through grants, donations and mentors to many FIRST teams across the US, we believe wholeheartedly in the positive benefits of STEM and the development of the next generation of engineers. My personal passion and reason for doing this is because I see the impact it has on our young people. I love teaching and paying forward what others have taught me. It's been so fulfilling to watch these kids walk into their first meeting wide-eyed and uncertain, and after time in the program, they become laser-focused on what they want to pursue as their career. You watch them go from curious to capable and from interested to inspired. And there are no competition trophies or awards that can compare to that. Through FIRST, I’ve been able to connect what I do at work to the real world and invest in my community. Sometimes, the students I’ve mentored have become interns or full-time colleagues at Aptiv, because they’ve found their passion in engineering and computers, and want to join us in helping move the world. When you think about it, only 3 percent of high school athletes go on to play at the college level, and only 1 percent of those go pro. Similarly, in arts and entertainment, only a small percent of theater or arts students go on to become professionals, and many of those jobs are part time, not in high demand, and often don’t pay well. Only a few make it big. However, 100 percent of students involved in youth robotics can “go pro” and pursue a degree in science, math or engineering. By the way, my twin boys, who at the time just thought the idea of robots sounded “cool”, now are both in their final year of college and are pursuing degrees in electrical and computer engineering. All because I took them to a meeting about Legos and robots 14 years ago.